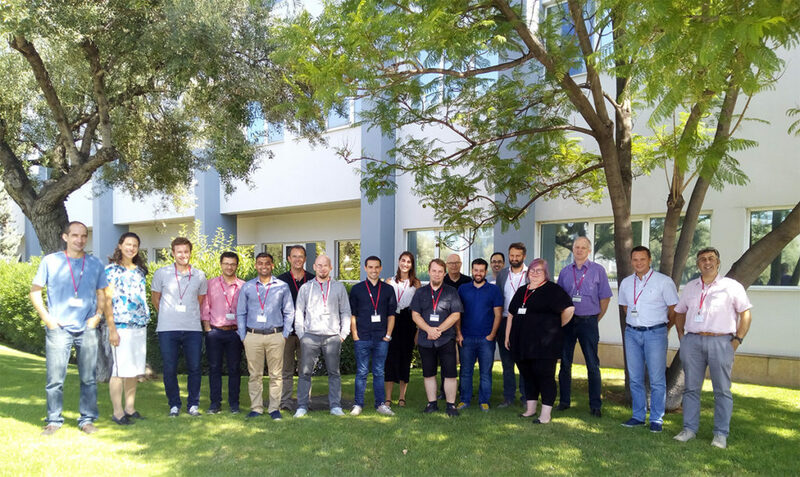 The 3rd Global Meeting of the RESOLVD Project took place in Athens (Greece) the 5-6 of September 2018. Representatives from all the partners in the consortium attended the meeting, which was hosted by ICOM. The meeting was organized in two days, the first mainly focused on WP1-2-3 progress revision. Specific sessions on graphical user interfaces and technologies and business models related to WP1 (due to be finished in September 2018) outcomes were conducted. The second day of the meeting addressed interoperability (WP4), dissemination (WP7), business models (WP6) and organization and management issues (WP8). 1st milestone of RESOLVD has been reached on time. Once the High Level Use Cases (HLUC) definition in the project has been successfully concluded, a first and preliminary open discussion was conducted by the Project Coordinator with fruitful discussions among all the partners, thinking on future validations. Once the Stakeholders Innovation Group (SIG) has been formally created, the 1st SIG meeting is planned for October 2018. The role of this advisory group is to assess and determine the quality of project results and their practical applicability orienting dissemination, implementation and take up of results and market trends to maximise impact and innovation. The basis for the dissemination strategy was also discussed. Planned actions to disseminate the project’s results will be included in the dissemination plan, expected to be ready in September 2018. After the first year of the project execution, the project runs adequately according to the initial planning and a nice cooperation has been stablished among partners. The following Global meeting will take place in Barcelona (UPC premises) to be scheduled in the early 2019.